Jimi joined old friends The Quireboys on stage for the Glasgow show of the band's UK tour on Friday night. 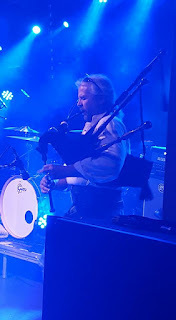 This is the fourth time Jimi has performed live with The Quireboys, one of the UK's most enduring and popular rock outfits. 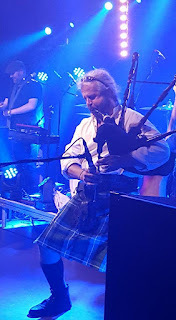 Friday night's gig in a packed 'Classic Grand' venue in Jamaica St was probably their best performance together yet. 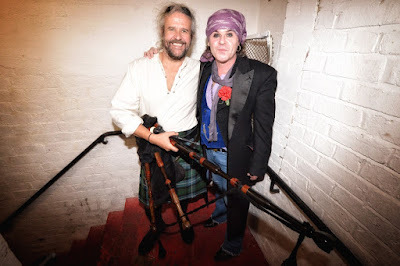 Lead singer Spike and Jimi have been good pals since Jimi recorded pipes for Spike's solo album a few years back. One of the tracks, a version of Frankie Miller's famous song 'A Bottle of Whisky' also featured the Scottish rugby team on backing vocals and was released as a charity single. 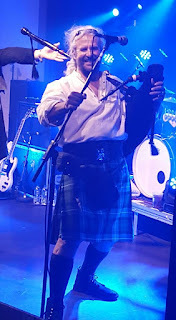 Jimi introduced the band on Friday night and then joined them on stage for an electrifying version of 'Amazing Grace'. "It's one of Spike and guitarist Paul Guerin's favourites" said Jimi. "They asked if I knew it and I said 'oh aye, I think so'!" The Quireboys are currently touring the UK promoting their latest album 'Twisted Love'. Jimi will be heading back to the studio with Spike to record pipes for another solo project featuring more songs written by Glasgow legend Frankie Miller. Watch this site for more details. Special thanks to Jennifer Stewart and Davy Ratcliffe for the pics of Jimi on stage.